This is a die-cut IHC Line porcelain sign. This particular IHC sign is blue with yellow and white text. 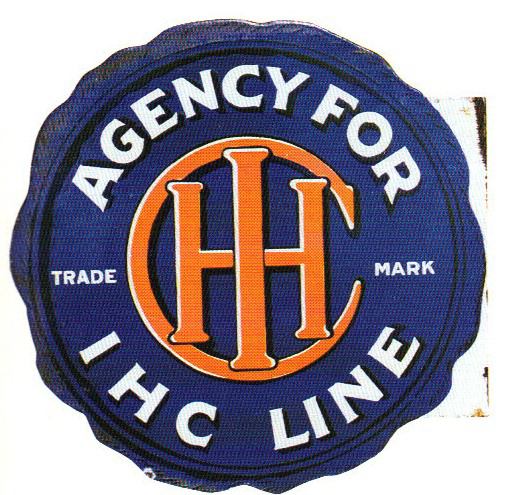 It reads, “Agency For IHC Line, Trade Mark” and is shaped like a wax seal.